This deep breathing exercise, also called the ‘Breath of Fire’ method, is one of the best natural ways to lose weight. To start with, sit upright on the floor cross-legged with your spinal cord erect, neck straight, chin up, eyes closed and hands on your knees. Make sure that your abdominal muscles are totally relaxed and your palms are facing downwards. Now, take a deep breath and pull your stomach (abdominal muscles) inwards (towards the spinal cord), while exhaling the air through your nose. As soon as you loosen your stomach (abdominal muscles), you end up inhaling automatically. Repeat it 30 to 50 times, if you are in the initial stage. Increase the pace as well as number of reps, as you master it. 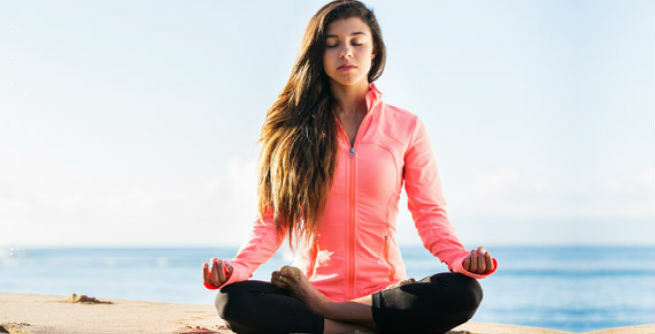 This is another deep breathing technique, which increases the supply of fresh oxygen to our body, thereby making the process of weight loss easy. Start with sitting on the floor comfortably. 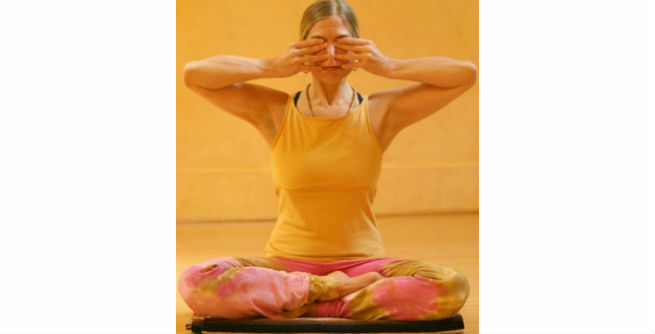 You can sit in ‘padmasana’ by keeping your legs one over another crosswise. Keep your hands on your knees in such a manner that the palms face upwards. Also, touch the tips of your ring fingers with the tips of your thumbs. Now, start breathing and relaxing normally. After a few minutes, take a deep breath by making use of all your strength. It should fill both of your lungs with fresh oxygenated air. Then, exhale it out of your nose forcefully by making a ‘hisss’. Repeat the procedure for 5 to 10 times depending upon your comfort level. This exercise, also known as the ‘Alternate Nostril Breathing’, should be practiced in the fresh air of the morning on an empty stomach. Start with sitting on the floor comfortably in the cross-legged position. Keep your eyes closed and all your muscles completely relaxed. Now, inhale through your left nostril, while keeping the right one closed by pressing with the right thumb. Hold the breath by counting 1 to 5 slowly. Remove your thumb from your right nostril and press your left nostril with the ring finger of the same hand. Now, breathe out the air from the right nostril followed by a ‘breathe in’ through the same. Again, hold the breath by counting 1 to 5 slowly. Then, remove the ring finger from your left nostril and exhale through it. Repeat the entire thing at least 10 to 15 times. This is another deep breathing technique that is considered as a great way to shed off excess pounds. Sit straight on the floor by placing your legs over one another in padmasana. Keep your spinal cord erect and all your muscles relaxed enough. Place your thumbs on both of your ears to cover them. Close your eyes and place your middle fingers on both of them to force down a little. Your index fingers should be placed on both of your temples and a little pressure should be applied. Also, put your ring fingers as well as little fingers simultaneously on the bridge of your nose. Now, take a deep breath followed by exhalation through both of your nostrils. It is even better to make a humming sound during this step. Repeat the whole thing for 10 to 20 times.